THERE ARE THREE FULL TIME OFFICER POSITIONS AVAILABLE  President Activities  President Welfare  President Education Officers lead the Students’ Union, represent ALL students to the most senior figures at the University and run campaigns including safety, welfare, academic issues, health and employability. These posts are for 12 months and pay over £21k P.A. from early July 2019 plus a 2 week handover period during the end of June. You can only stand for one Officer position. Significant training will be provided to successful candidates over the summer. NATIONAL UNION OF STUDENTS (NUS) NATIONAL CONFERENCE This is an annual three day meeting where more than 2000 elected delegates from member SU have their say on the running of NUS and vote on key policy decisions. The conference will take place in Glasgow from 8th to 11th April 2019. Teesside has 4 delegate places available for election. The President Education automatically attends as delegation leader. NUS Conference 2014 passed a policy that SU delegations must be made up of “at least 50% self-defining women rounded down” and that students’ unions are required to ask candidates to define their gender at the point of nomination. Please ask for more details. WHO CAN STAND IN THE ELECTIONS? 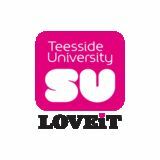 You must be a current student at Teesside University throughout the elections process and your student status will be checked by the University. You can stand in either or both Officer and NUS National Conference Elections. For the Officer elections you must meet the legal requirements of the Charities Act as Officers are automatically Trustees of the SU. FIND OUT MORE ABOUT THE ROLES Speak to Officers not re-standing in the elections who can tell you about the roles. Candidate mentors are also available to provide more detail on the areas in which the successful candidate will be working. They can also provide advice and support to candidates but are not able to help with campaigns or advise what should be in personal statements. NOMINATION FORM Register your details. You must be proposed and seconded by two other current students. PERSONAL STATEMENT Your personal statement sets out:  Who you are and the role you are standing for  The skills and experience you possess that make you the right person for the role  The ideas you have that you will pursue if you are elected All personal statements will be published and displayed by the Students’ Union. Ask in the Admin Office for previous years’ examples. PUBLICITY IDEAS Publicity encompasses everything you use to promote yourself and your campaign. Ask in the Admin Office for previous years’ examples, you can use:  Posters, flyers, business cards or similar.  Social media, blogs, websites, campaign email addresses  Videos Please submit paper or high quality (300dpi) JPEG, PDF, Word or Publisher files. If you do not submit a version of sufficient quality we may ask you to resupply before it can be displayed on the SU website and in the SU Building. All posters, flyers and your personal statement need to state: “Campaigning pledges are the individual views of candidates and not necessarily those of the Students’ Union”. You must declare any other publicity ideas with your Nominations Pack. If it is not submitted you will not be able to use it. Stickers of any type Posters in University buildings University or SU mailing lists or any official University or SU media or promotions Fixed installations on campus e.g. stalls, tables, cars Anything offensive or damaging to the reputation of the SU Material including SU branded clothing connected with any post you hold within the SU. Displays and publications featuring any re-standing Officers will not be removed  University staff endorsements  Endorsement or assistance by any SU commercial partners or associates including at events taking place at the SU or elsewhere The DRO may require amendments should any aspects of your Nomination Pack be deemed to be offensive, inaccurate, infringe copyright or damage the reputation of the SU. CHARITY TRUSTEE DECLARATION FORM This is your declaration that you meet the necessary legal requirements to be a Trustee and are therefore eligible to stand in the elections. Please see the Deputy Returning Officer for a confidential chat if you have any questions. Don’t wait until the last minute to submit your completed nomination pack. Allow enough time for any changes that you may be asked to make.